We are believers in the power of the public to co-define their challenges and co-create effective solutions. Rather than forcing massive standardized programs, we develop bottom up initiatives using the energy of positive thinkers and pioneers in our community. We have successfully designed and implemented over 50 local and regional programs in partnership with 20 government and private entities in Saudi Arabia and the Arab region. These programs engaged more than 50 million users through various platforms and impacted 500,000 participants. 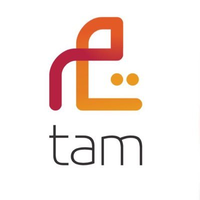 TAM is the go-to company for public engagement and activation that has been recognized by 4 international awards.